I. What is not meant by the carnal mind. And, 2d. What the carnal mind, as used in the text, does mean. 3dly. That all men, who have not been born by the Spirit of God, have a carnal mind. And, 4thly. That this carnal mind is enmity against God. 4. It is not meant, that there are appetites or propensities that are constitutional, which are enmity against God. It is the direct opposite of the character and the requirements of God. God requires us to subordinate all our appetites, of body and mind, to his glory, and to aim supremely at honouring and glorifying him. To love him with all our hearts, to bring all our powers of body and mind, under obedience to the law of love: and whatever we do, whether we eat or drink, we should do all to the glory of God. Now the carnal mind, or the minding of the flesh, is the direct opposite of this. It is pursuing as a supreme end, that which is the direct opposite of the requirements, and character of God. It is a choice, a preference, an abiding temper, or disposition of the mind; which consists in a determination to gratify self, and to make this, the high and supreme object of pursuit. III. I am to show, that, previous to conversion, all men are in this state of enmity against God. The Bible speaks of men, as possessing by nature, one common heart or disposition. This text does not say, that the carnal minds of some men, are enmity against God; but that the carnal mind is enmityr against God. In another place, God says, "every imagination of the thoughts of their heart, (not hearts) is only evil continually." Another passage, says, "the heart of the sons of men is full of evil, and madness is in their heart while they live." Indeed, unconverted men, throughout the Bible, are spoken of as having a common heart; and what the Bible asserts, is seen to be a matter of fact. Go throughout all the ranks of the human family from the sensitive female, that faints at the sight of blood, to the horrid pirate, whose eyes flash fire, and whose lips burn with blasphemy; and present to them, all, the claims of God, and the gospel of his Son, require them to repent, and give their hearts to God; and with one consent, they will plead their inability. Go to the refined, and unrefined; the learned and unlearned; the high and low; rich and poor; old and young; male and female; bond and free, of every country and of every clime; and not one of them can be persuaded to embrace the Gospel, without the interposition of the Holy Ghost. Now, how is it possible, to account for this notorious fact, but upon the principle, that however the external deportment of different individuals, may be modified by circumstances, however much the natural temper may be made to differ, as respects men, by education, by animal temperament, by the state of the nervous system, and a variety of other considerations; still as it respects God, they possess the same disposition, and will, all, with one consent, begin to make excuses for not loving and obeying him. In my former discourse, on the subject of depravity, I endeavoured to demonstrate, by an appeal to facts, that unconverted men indo not love God. The first point to be established, under the fourth head of this discourse, is, that impenitent sinners hate God. We see this same law of mind, developing itself towards God. Sinners manifest the greatest pleasure in sin. It is the element in which they live and move. They roll it as a sweet morsel under their tongue. They drink in iniquity like water. They even weary themselves to commit iniquity. They not only do these things themselves, but have pleasure in them that do them. The very things that are the most displeasing to God, are most pleasing to them. And the things that are the most pleasing to God, are most displeasing to them. They love what God hates, and hate what God loves. This demonstrates that they are in a state of mind which is the direct opposite, of the character and will of God. The whole bent, and current, and inclination of their minds are the direct opposite of God's requirements; and are enmity against him. This is matter of fact. Again. We are naturally gratified, to see the friends of our enemy forsake and dishonour him. If a man hate another, and the children, or friends of this enemy of his, do any thing to grieve, or dishonour, or injure him, in any way, he may speak of it, as if he regretted it; but if he pretends to regret it, he is a hypocrite. It is just as certain, that upon the whole, he rejoices in it, as it is that he hates him. He rejoices in it, because, it gratifies his hatred. You see this law of mind, manifesting itself with equal uniformity and strength towards the blessed God. When the professed friends of God forsake his cause, and do any thing to dishonour him, you may perceive that impenitent sinners are gratified. They will speak of it with exultation; and while Christians converse about it with sorrow, weep over it, and betake themselves to prayer that God will wipe away the reproach, it will become the song of the drunkard, and the wicked in bar- rooms, and in the corners of the streets, will laugh at it, and rejoice over it. Again. We are apt to see and magnify the faults of the friends of our enemies. With what scrutiny, will politicians search after the faults of the friends and supporters of an opposing candidate. How eagle-eyed is that man in searching out all the failings of those that favour his enemy. How politicians, and others, will, not only see their real faults, but will greatly magnify them, and dwell upon them, until they fill their whole field of vision. They give their attention so exclusively to their faults, as to forget that they have any virtues. So enormous do their faults appear, that where they have the appearance of virtue, it is ascribed to duplicity and hypocrisy. Again. We are apt to misinterpret the motives, and put the worst construction upon the conduct of the enemies of our friends.If they are favouring the interests, and endeavouring to promote the happiness of one whom we greatly hate, we behold all their conduct through a jaundiced eye. The best things in them, are often ascribed by us, to the worst of motives; and those things in them, which deserve the most praise, are often, by us the most severely reprobated. Your acquaintance with your own hearts, and with the developements of the human character around you, will instantly supply abundant proofs of this remark. This feature of the human character, often, most odiously developes itself towards God. How frequently do we hear impenitent sinners, ascribing the most praiseworthy deeds of God's professed friends, to the most unworthy motives. How often are their acts of greatest self-denial, those things in which they most humbly serve, and most nearly resemble God, misrepresented, ascribed to the basest of motives, and made the very reasons, upon which they ground their pertinacious opposition to them. It is impossible to account for this upon any other principle than that of their enmity against God; for the personsagainst whom this enmity is vented, are often entire strangers to them; individuals against whom they can have no personal hostility. It is manifestly not enmity to them, any further then they resemble God, that calls forth these expressions of hatred, but to the cause in which they are engaged, to the master whom they serve. Again. We naturally shun the friends of our enemies. We naturally avoid the society of one, who we know to be particularly friendly to our enemy; his company and conversation is irksome to us. We see this same spirit manifested by impenitent sinners toward the friends of God. They avoid them. Feel uneasy in their company. Their presence seems to impose restraints upon sinners, and they cannot abuse God with quite as much freedom when Christians are present. They are therefore glad to dispense with their company. How often do you observe impenitent sinners, in making up a party for a stagecoach, or railroad car, so arrange matters as to exclude a minister, or any engaged Christian from their company. They feel uneasy at his presence, and manifest the same temper that we should witness, if some distinguished friend of their greatest enemy were present with them. How can this be accounted for, on any other principle, than that of enmity against God. With these ministers, or professors of religion, they have, perhaps, very little personal acquaintance; have never had any misunderstanding with them, nor has any personal controversy existed between them. It must be on account of the cause in which they are engaged, and the master whom they serve, they wish to avoid them. Again. We naturally admire magnify the virtues and overlook the vices, of the enemies of those we hate. How enthusiastic are politicians in their admiration of the talents, and wisdom, and virtues of those who take sides with them, and are opposed to the election of their political enemy. If any man has an enemy, he regards it as an evidence of wisdom, in any one else, to be opposed to the same man. He is inclined greatly to overrate the number, and the talents, and the influence of those who are opposed to his enemy. If he hears of a few that are opposed to him, and among them any men of more than ordinary talents, he is apt to imagine that almost every body is opposed to him, and especially all the talented and virtuous part of the community, and to think that nobody favours him but the weak, the servile, and the interested. It is just so on the subject of religion. How often do you hear impenitent sinners boasting of the talents, and the numbers, and the virtues of infidels, and of those that make no pretension to religion. Boasting of the excellent characters, high standing, and great influence of the leaders among the irreligious. While, at the same time, they depreciate both the numbers and the talents, of those that are the friends of God. They often consider them as a sickly, a bigotted, and a priest-ridden people: and this too, without any definite knowledge of their numbers, their characters, or their influence. What is this, but the outbreakings of enmity against God, and the cause which they love? Again. We naturally hate to think of our enemies. The human mind is so constituted, that malevolent emotions distress it, and are the source of misery. Whenever our thoughts are intensely occupied in thinking of an individual whom we hate, those malevolent emotions will naturally arise, which are condemned by the conscience, and which of themselves constitute misery. For this reason, unless it be for the purpose of studying revenge, or in some way to gratify our hatred, we naturally turn our thoughts away from an object which we hate. And while, as I have shown in a former discourse, we naturally dwell upon a beloved object, we just as naturally abstract our thoughts from a hated one. Behold the developements of this law of mind in its action toward God. Sinners banish God from their thoughts. They are "unwilling to retain God in their knowledge;" and if at any time the thought of God is intruded upon them, they manifest uneasiness, and immediately divert their attention. If they are really convinced that they are sinners, and are in danger of his wrath, their selfish regard to their own happiness may lead them to reflection, and induce them to think of God, for the purpose of devising some means of escaping his just indignation. Again. We dislike to converse about those that we hate; and unless it be for the purpose of calumniating them, and pouring forth our malignant hostility against them, we choose to remain silent and say nothing about them. You often hear a man say of his enemy, I desire not to talk about him. As I have shown, in the former discourse, we love to converse about our friends, because such conversation at once enkindles and expresses our love for them. Such conversation gratifies us. But we hate to converse about our enemies. For although there is a kind of gratification in giving vent to our enmity, it is at the same time the source and the essence of pain. Who has not witnessed the manifestations of this law of mind on the subject of religion? Who does not know that sinners are averse to talking about God? That they converse about him seldom, reservedly, and in a manner that shows they have no pleasure in it; but, on the contrary, that such conversation gives them pain? Again. We are naturally pained to hear our enemy praised. Here is a party of ladies and gentlemen assembled, and all of them but one, are particularly friendly to a distinguished and absent individual. This one is his, bitter enemy. His enmity, however, is unknown to the company, and they, of course, bring up their favourite as the subject of their conversation. They indulge themselves in enthusiastic commendations of their absent friend, and are delighted with the common bond of sympathy that exists among them upon this subject. But mark the embarrassment and distress of this enemy. While they, without heeding his agony, indulge themselves in the most lavish pouring forth of applause, this enemy is filled with the most irrepressible distress and indignation. He looks at his watch; takes out his snuff-box; walks to the window; tries to read a newspaper; turns up and down the room: tries to divert the attention of the company, and introduce some other topic of conversation. Now, suppose that one of the ladies turns to him and demands his opinion, remarking, that he seems to be absent-minded, and does not enjoy the conversation. If he is a gentleman, he may wish to be very civil to the lady, and endeavour to waive an answer to her question. But suppose she presses him, and wonders at his hesitancy, until his conduct attracts the attention of the other members of the party, when they all, with one consent, coincide with the lady, and insist upon an expression of his opinion. Now, an hundred to one, if, in spite of his good breeding, he does not manifest the enmity of his heart, and clearly exhibit to the company the deep malignity of his feelings. Under similar circumstances, you may often witness the out breakings of enmity against God. Let a company of Christians, in a steamboat, or stage-coach, engage in conversation upon their favourite topic. Let them converse of Jesus Christ; and after a warm conversation, let them appeal to impenitent sinners in the midst of them, for an expression of their opinion. Or if, when in a proper place, they propose to conclude the interview with prayer, how often are they offended. Go and visit a family, some of whose members are Christians, and others not; sit down and converse warmly with the pious wife on the subject of religion, in the presence of her husband and unconverted family: what looks you will instantly perceive about the house. Perhaps one will go out at this door, and another at that, and if any of the impenitent remain, turn and direct your conversation to one of them; if it be the husband, perhaps he will almost forget that he is a gentleman, and abuse you to your face. Perhaps he will say, his religion is a matter between him and God. That he does not thank you for your impertinence. That it is none of your business, and that he does not thank you for coming there, to disturb him and his family upon the subject of religion. Now, why does he consider this a disturbance? Why does he look upon it as an impertinence? Why is he so displeased? Certainly he has no reason to fear that you will injure him, or his family. If he loved the subject, and loved God, is it not certain that he would thank you for your visit, and be pleased with the interview. And is it not proof to demonstration, that he hates God and religion, when he considers the kind introduction of the subject, as an intrusion, and a vexation. Again. We are naturally pained and incredulous on hearing of the prosperity of our enemy. If we hear that our enemy is gaining friends, or popularity, or property, or influence, it distresses us. We are inclined to disbelieve it. And, if there be any room for doubt, we are sure to hang a doubt on every point that admits debate. See that man, with his hypocritical face; he has heard of the prosperity of his enemy, and professes to rejoice in it. But if he believes it, he only mentions it on occasions where he cannot avoid it; and then, the spirit and manner of his conversation, if he pretend to rejoice in it, will, to a discerning mind, develope the deep hypocrisy of his heart. But if there be a possibility of calling the truth of it in question, you will find that he disbelieves it altogether. You will find him dwelling upon, and greatly magnifying, any little circumstance, that will render it improbable; while he depreciates, and casts into the shade, the weighty considerations, that demonstrate its truth. Who has not witnessed the exhibitions of this principle, on the subject of religion? 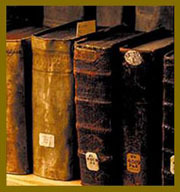 Let a report of the prosperity of religion, and of great revivals, be circulated through the community, and see how Universalists, and other impenitent sinners, will manifest uneasiness, and try to disprove it all; will question the evidence, and try to pour contempt upon the report; and upon those that believe it. They do not believe that so many have been converted; you will see, say they, that the professed converts will all go back again, and be worse than ever. The reports, say they, are greatly exaggerated, and if there are any Christians in these revivals, there are probably ten hypocrites to one Christian. Such facts as these, speak for themselves. They manifest a state of mind that cannot be mistaken. It is the boiling over of enmity against God. Again. We naturally hate efforts to promote the interests of our enemies. We are very apt to cavil at the measures which they use; call their motives in question; and find a great deal of fault with the spirit, and manner of their efforts; when we are opposed to the endwhich they have in view. If it be to promote the interests of our enemy, we are naturally watching for objections, and are captious, and ill-natured, in regard to their movements. We are apt to ridicule, and oppose such efforts; and any thing like zeal, in such a case, is looked upon by us, as enthusiasm and madness. Witness the conduct of impenitent sinners, on the subject of religion. If any efforts are made to promote the interests of the kingdom of God; to honour and glorify him, they are offended. They get up an opposition. They not unfrequently ridicule their meetings. Speak evil of those that are engaged in them. Denounce their zeal, as enthusiasm, and madness; and something for which they deserve the execration of all their neighbours. People may get together, and dance all night, and impenitent sinners do not think it objectionable. The theatre may be opened, every night, at great expense, and the actors and multitudes of others, may be engaged all day in preparing for the entertainment of the evening; and thus the devil may get up a protracted meeting, and continue it for years, and they see no harm in it: no enthusiasm in all this. Ladies may go, and stay till midnight, every evening. Poor people may go, and spend their time and money, and waste their health and lives, and ruin their souls; and there is no harm in all this. But let Christians do any thing like this, and exercise one tenth part of this zeal in promoting the honour of God, and the salvation of souls; why, it would be talked of from Dan to Beersheba. Sinners may go to a ball, or party, and stay nearly all night; but excessively indecorous it is for ladies to go out to eveningmeetings. For Christians to have protracted meetings, and to pray till 10 o'clock at night. Abominable! Why, such things are spoken against in the newspapers. They are the subjects of remark and reprobation in steamboats, and stage-coaches, and bar-rooms, and wherever impenitent sinners are assembled. Politicians, may manifest the greatest zeal on the subject of politics. May hold their caucuses; post up their handbills; blaze away in the public journals; appoint their ward-committees; ransack every nook and corner; parade through the streetsar with their music; fire their guns, show their flags, transport their frigates through the streets on wheels, send their coaches up and down the streets with hand-bills posted on their sides, to bring men to the polls, hundreds of thousands of dollars may be expended to carry an election, and all this is well enough. But, O, let Christians but begin to serve God with such zeal, and make such efforts to build up his kingdom, and save the souls of men; and ten to one, if the wicked did not absolutely mob them, and cry out that such efforts would ruin the nation. They would brand such proceedings as the most arrant (throughgoing) enthusiasm, and downright madness. But is it because politics are of so much more importance than the salvation of souls? Is it, because no effort is necessary to arouse a slumbering world, and bring sinners to act, and think, and feel, as they ought on the subject of salvation. No, there is reason enough for the highest possible degree of Christian effort, and sinners know it very well; but their enmity against God is so great, that such efforts cannot be made without arousing all the hell there is within them. Again. We easily believe an ill report, of one whom we hate. If a man hears any evil of an enemy, he believes it, on the slightest testimony. He does not care to inquire whether the report may be relied upon, but he eagerly listens to every breath of slander, yields the most unqualified credence, to almost any and every falsehood, that serves to blacken the reputation of his enemy. The reason of this is, his ill will is gratified with such reports, he hopes that they are true, and therefore easily believes them. How frequently do we see this feature of the human heart developing itself on the subject of religion. With what eagerness do sinners listen to every false and slanderous report, that may be circulated about the friends of God. It is surprising to see, what absurd and ridiculous things they will believe. They manifest the most unequivocal desire to believe evil of those who profess friendship to God. It is amazing, to see the enmity of their hearts manifesting itself to such a degree, that often, there is nothing too absurd, ridiculous, and contradictory for them to believe, if it only has a tendency to cast contempt and ridicule upon the cause of God. Again. We naturally love to give publicity to any evil report about our enemies. We desire to have others feel towards them, as we do. It gratifies our malignant feelings, to hear and to circulate those reports that are injurious to the enemy we hate. Hear that man. He meets with a neighbour, and says, have you heard such and such a report of such an individual? No, I have not. Ah, I supposed that you knew it, or I should have said nothing about it. Now hear him go into the whole subject, and relate, and aggravate every circumstance, of which he has heard, and comment upon them as he goes along; at length he closes, by saying I hope you will not mention this, but it is a matter of fact. And now he goes abroad, and falls in with another neighbour and relates the same to him, as a great secret; hopes he will say nothing about, but thinks the fact cannot be disputed. Every where he goes, he takes this course; he hopes the thing will not get abroad, to the injury of the poor man. Tis a mournful event. He is truly sorry, that any such thing has happened. In all this he is a hypocrite, and he knows it. He is glad the event has happened, and he delights to publish it. He seems to covet the exclusive privilege, of being the bearer of the first intelligence to every door. How often do we witness the developements of this principle against God. If something takes place, that is disgraceful among the professed friends of God, and injurious to the interests of religion, how ready sinners are, to give it universal publicity. They will talk about it. Publish it on all occasions; blaze it abroad in the public prints, and send it in every direction upon the wings of the wind. If any one becomes deranged, in connexion with a revival of religion, alas, what an ado is made about it. Thirty thousand citizens of the United States may be murdered every year by strong drink. The groceries may fill bedlam with maniacs. Homicide, and suicide, and all manner of abominations may be the result of rum selling, and yet the indignation of sinners is not aroused. But if some nervous individual becomes deranged, in view of his abominable crimes against his Maker, in connexion with a revival or a protracted meeting; the press groans under the burden of the doleful complainings that are poured out upon the public ear. But, Secondly. Under this 4th general division of the subject, I observe that impenitent sinners hate God with a MORTAL HATRED. That is, were it in their power, they would destroy his very existence. Probably, very few sinners, are sensible that they have this degree of enmity, and may feel shocked at the assertion. Nevertheless, it is true. There are several reasons why they may never have known, that such was the state of their hearts. It is probable, that most of them, have never dared to indulge any such feelings. Another reason, why they never have desired to destroy God, is that they have never thought it possible to destroy him. There are many things which sinners have never designed or desired to do, because they have never thought it possible. Did either of you ever design to be a king. Did you ever entertain a thought of being a king. Have you ever felt any ambition to be a king. Probably you never did. And for the very reason, that you have never thought it possible. Suppose a throne, a crown, and a sceptre, were put within your reach; and the robe of royalty was tendered to your acceptance; do you not think that you have pride and ambition enough, under such circumstances, to desire to be a king. And suppose when you had accepted the crown, and swayed the sceptre over one nation, you had the opportunity of extending your empire, and making your dominion universal, over all nations; do you not believe, that you would , instantly desire to do it. And now, suppose that when all the governments of this world were subject to your sceptre; suppose an opportunity should offer for you to extend your dominion over the entire universe of worlds, and should you conceive it possible to subject God himself to your controul; are you too good, under such circumstances, to aim at exercising dominion over all the universe and over God himself. Sinners, who would trust the best among you. You know not your hearts, if you suppose that under such circumstances, there would be any limit to your ambition. But again. Sinners do not realize the greatness of their enmity against God, because, as yet, God lets them go unpunished, and they do not believe, that he will send them to hell for their sins. If God will let them have their own way, as long as he does not interfere, to punish them for their sins, or disturb them in their courses of iniquity, their enmity remains comparatively at rest. But who among them would not rise up and murder him, were it in their power, if he should attempt to punish them for their sins. No, they would sooner wish him in hell, than consent that he should deal with them in justice. But again. It is evident, that the enmity of sinners against God isn MORTAL, from the fact, that they are in rebellion against him, and in league with devils, to oppose his government, and undermine his throne. Sinners do not obey him. The whole weight of their influence and example is opposed to his government. They do every thing that the nature of the case admits to annihilate his authority, and destroy his government. Rebellion, is always aimed at the life of the sovereign, and it is impossible for sinners, to be more absolutely in rebellion against God, than they are. But again. The question has been tried. God has once put himself as much in the power of men, as, in the nature of things, was possible. The second person in the Godhead, took to him human nature, and put his human nature within the power of men. And what was the result? They rested not, till they had murdered him. Do you say, that those were the Jews. That you are of a different spirit? This has always been the favorite plea of sinners. The ancient Jews, persecuted and murdered the prophets. The Jews of Christ's day, professed to honor the prophets, built their sepulchers, and insisted that, if they had lived in the days of the prophets, they would not have persecuted them. But they persecuted and murdered Christ; and Christ himself informs them, that by persecuting him, they showed that they approved the deeds of their fathers. Now sinner, suppose you lived under a government that was a monarchy. Suppose your fathers had rebelled against the rightful king, and placed an usurper upon the throne; and that you, their children, although you did not participate in the original rebellion, yet now, you maintain the same ground which they took, support the usurper, and refuse obedience to your rightful sovereign. Now, is not this, in law and in equity; is it not to all intents and purposes, justifying the conduct of your fathers; becoming a partaker in their crimes, incurring the same guilt, and deserving the same condemnation. Suppose, you did not originally murder Christ; still, is it not a fact, that you now refuse to obey him, as your rightful sovereign, that you support the authority of Satan, who has usurped the government of this world by refusing to repent; by withholding your service, and your heart from Jesus Christ. Do you not, to all intents and purposes, become a partaker in the crime of those who murdered him. He claimed their obedience; and they arose and imbrued their hands in his blood. He claims your obedience, you utterly refuse it; and thus show, that you approve the deeds of the Jews. And that, were he in your power, sooner than submit to his authority, you would murder him again. This conduct makes you in the eye of common law, a partaker in their crime. In the eye of conscience, of reason, and of common sense; in the eye of God, and in the judgment of heaven, and earth and hell, you are guilty of the blood of Christ, and prove to a demonstration, that were it in your power, you would dethrone and murder the Almighty. Again. A mere change of circumstances in any other case of enmity, will change the heart. Here are two political opponents, between whom an hereditary enmity exists. Their fathers were enemies. They have always been enemies. They have both believed and spoken, all evil of each other. Now, let a change of politics bring them both upon the same side of a political question, and they instantly become friends. Let them have an opportunity to play into each other's hands; let both their hearts, be set upon the election of the same candidate; see how cordially they will co-operate. How warmly they will take each other by the hand. They will walk, and sit, and dine together; attend political meetings; defend each other's reputation, magnify each other's virtues; and throw the kind mantle of charity over each other's vices. And all this they will do heartily. Their real feelings towards each other are changed. Their hearts are really changed towards each other, and they can truly say, whereas we formerly hated, now we love each other. All this has been effected, merely, by a change of circumstances, without any interference by the Holy Ghost. Let the President of the United states appoint his greatest political opponent to the first office in his gift, and he makes him his friend. Suppose the greatest anti-Jackson man in this city, who has said and done the most of any man in the United States, to prevent his election, should be reduced to poverty, and had no means of support, for himself and family. Now suppose, when the news of his extremity should reach the president, he should appoint him to a post of high honour and emolument, would not this change his heart? Would he complain that he could notbecome the president's friend, until the Holy Ghost had changed his heart? No. Such kindness would be like pouring coals of fire upon his head, would melt him down in an instant; would change the whole current of his soul. How then, does it happen, that all the offers of heaven, and all the threatenings of hell, that all the boundless love, and compassion manifested in giving his only begotten, and well beloved Son to die for you; when mercy stoops from heaven with bleeding hands, and offers to save, and hell roars from beneath, and threatens to devour; when God approaches you, with a world of moving, melting motives, gathered from earth, and heaven, and hell, and rolls their mountain-weight upon you; that these considerations will never change your heart, unless made effectual by the Holy Ghost? Again. If men did not hate God supremely they would INSTANTLY REPENT. Suppose, that when you go home tonight, at the deep hour of midnight; when you are all asleep in an upper apartment of your house; you are awaked by the cry of fire: you look up, and find your dwelling wrapt in flames around you. You leap from your bed, and find the floor under your feet just ready to give way. The roof over your head is beginning to give way, and ready to fall in upon you, with a crash. Your little ones awake, and are shrieking and clinging to your night-clothes. You see no way of escape. At this moment of unutterable anguish and despair, some one comes dashing through the flames with his hair and clothes on fire, seizes you in your distraction with one hand, and gathers his other long and strong arm around your little ones, and again rushes through the flames at the hazard of his life. You absolutely swoon with terror. In a few moments, you open your eyes in the street, and find yourself supported in the arms of your deliverer. He is rubbing your temples with camphor, and fanning you, to restore your fainting life. You look up, and behold in the scorched and smoky features of him who rescued you, the man whom you have supremely hated. He smiles in your face, and says, fear not, your children are all alive; they are all standing around you. Now, would you, could you look coldly at him, and say, O I wish I could repent, that I have hated you so much. I wish I could be sorry for my sin against you. Could you say this? No. You would instantly roll over upon your face, and wash his feet with your tears, and wipe them with the hairs of your head. This scene, would change your heart in a moment, and ever after, the name of that man would be music in your ears. If you heard him slandered, or saw him abused, it would enkindle your grief and indignation. And now, sinner, how is it, that you complain, that you cannot repent of your sins against God? Behold his loving kindness, and his tender mercy. How can you look up? How can you refrain from repentance? How can you help being dissolved in broken-hearted penitence at his blessed feet? Behold his bleeding hands! See his wounded side! Hark! hear his deep death-groan, when he cries "it is finished," and gives up the ghost for your sins. Sinner, are you marble, or adamant! Has your heart been case-hardened in the fires of hell, that you don't repent? Surely nothing but enmity, deep as perdition, can be proof against the infinitely moving inducements to repentance. But perhaps you will say, that you do not like to hear about hell and damnation, that you love mercy, and if ministers would present the love and mercy of God, and present God as a God of mercy, sinners would love him. But this is all a mistake. Sinners are as much opposed to the mercy of God, as they are to any of his attributes. This is matter of fact, and the experience of every day. Hark, what is that din and outcry? Whence are those cries of crucify him! crucify him! that load down the winds, and break upon our ears, from the distance of more than 1800 years? Why, God has revealed his mercy and all the world are in arms against it: Jesus Christ has come, upon the kind errand of salvation, and the world is filled with uproar, to murder him. Mercy, is the very attribute of God, against which mankind are arrayed. For thousands of years, the sword of vindictive justice has slept in its scabbard, and God has been unfolding and holding out the attribute of mercy. All the opposition in the world, to God, and to religion, is aimed particularly at his mercy. What is Christianity? What is the Bible? What are revivals of religion? What are all those things that have called forth so much of the opposition of earth and hell, but so many exhibitions of the mercy of the blessed God. When justice ascends the throne, the cavelling mouths of sinners will be stopped. Justice, will soon hush the tumult, and loud opposition of sinners, against their Maker. Then, every mouth shall be stopped, and all the world shall be found guilty before God. But now, is the dispensation of his mercy; and all earth is up in arms against it: and why are you such a hypocrite, as to pretend to love the mercy of God. If you love it, why do you not accept it? If you love a God of mercy, why have not all the moving manifestations of it, that have passed before you, melted you down and subdued your heart?, O sinner, sinner, speak no more proudly. Boast not yourself, that you love any attribute of God, for if, while you remain impenitent, you say you love him, you are a liar, and the truth is not in you. I will conclude this discourse with several remarks. 1st. You see, why it is, that Universalists and other sinners, are so disturbed, with revivals of religion. It is because God comes so manifestly forth in the exercise of his mercy. They cannot bear, such an exhibition of God. It disturbs all the sediment, and lurking enmity of their hearts. These professed friends of God and men, as soon as God displays himself, and men become the recipients of his mercy, are greatly offended by it. 9th. It cannot be pretended, with any show of reason, that these discourses amount to any denial of moral depravity. I have purposely denied physical depravity; but certainly these discourses maintain moral depravity; that for which the sinner is to blame; that of which he must repent, in all its length and breadth. It would seem, that in the estimation of some, a denial that the nature is in itself depraved, is a virtual denial of all depravity. In other words, they seem to think it a virtual denial of the guilty source of all actual transgression. I have endeavoured to show, that the cause of outbreaking sin, is not to be found in a sinful constitution, or nature; but in a wrong original choice; in which the sinner prefers self-gratification to the will of his Maker; and which choice, has become the settled preference of his soul; and constitutes the deep fountain, from which flow the putrid waters of spiritual and eternal death. I am unable to see by what figure of speech, 16 that is called moral depravity, which either consists in a depraved constitution, or is the natural result of it. Why should it be called moraldepravity? Certainly it can have no such relation to moral law, as to deserve punishment. It is indeed marvelous, that in the 19th century, it should be thought heresy, to call sin a transgression of the law, and insist that it must be the act of a voluntary agent. Has it come to this, that those who virtually deny all moral depravity, and virtually charge all the sins of the world upon God; are gravely to complain of heresy in those who maintain moral depravity in all its length and breadth, but who deny physical or constitutional depravity? What next? If it be heresy, to say that sin is a transgression of the law, certainly the apostle was not orthodox. 11th. Sinners are not almost Christians. We sometimes hear persons say, of such an impenitent sinner, that he is almost a Christian. The truth is, the most moral impenitent sinner in the world, is much nearer a devil, than a Christian. Look at that sensitive young lady. Is she an impenitent sinner; then she only needs to die, to be as very a devil as there is in hell. Any slight occurrence, that should destroy her life, would make her a devil. Nay, she needs no positive influence to be exerted upon her, to make a fiend of her; only remove all restraints, and the very enmity of hell boils over in her heart at once. Let God take from under her his supporting hand. Let him cease, but for a moment, to fan her heaving lungs, and she would open her eyes in eternity, and if she dared, would curse him to his face. 14th. You see the wickedness and folly of those parents who think their unconverted children friendly to religion. You cannot teach them a greater heresy, than that they are friendly to religion, or to God. I have often heard professing parents say, that their children were not enemies to religion. No wonder that such children were not converted, under such teaching as this. It is just the doctrine that the devil desires you to teach them. You only give your children the impression that they are friendly to religion already, and they will never know, why they need a new heart. While in this state of mind, and labouring under this delusion, they cannot so much as be convicted, much less converted. 15th. You see from this subject, the folly, and the falsehood of saying, of an impenitent sinner, he is a good-hearted man; when the fact is, that his heart is enmity against God.